Located in the French Quarter of New Orleans, 21st Amendment at La Louisiane harkens back to the days of early prohibition. This is a place that calls the memory to days where people were able to enjoy the drinks they wanted without being bothered. The 21st Amendment at La Louisiane has a rich history that dates all the way back to 1881. In fact, from the 1950s to the 1980s, 21st Amendment at La Louisiane was owned by some of the most notorious mobsters in Louisiana. Today, this piece of history has been incorporated into the current culture and the vibe present at 21st Amendment at La Louisiane. 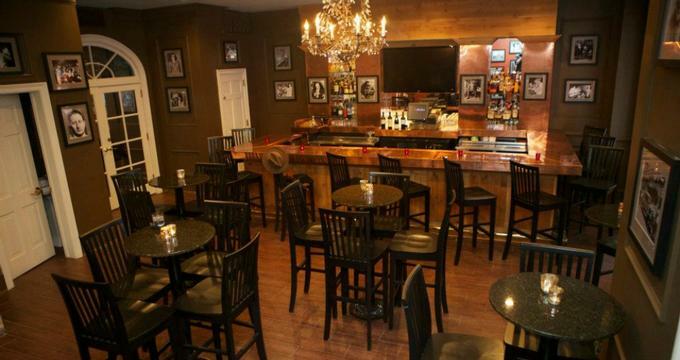 Patrons can enjoy a wide variety of alcohol and spirits while being surrounded by pictures of some of the most infamous mobsters in US history. 21st Amendment at La Louisiane is truly a throwback to the 1920s Prohibition era. · Seasonal Cocktails - Seasonal cocktails are tailormade with ingredients that speak to the change of the seasons. Some offerings include Corpse Reviver, La Louisiane, Summer Smash, Frenchy, To Kill a Jungle Bird, A Happy Accident, Shandies, and Patricide Sazerac. · Vintage Cocktails - Vintage cocktails include the following: Mexican Firing Squad, Last Word, The Hurricane, El Presidente, Corpse Reviver, De La Louisiane, and The Sazerac. · Beer - Bottled beer is available as well as seasonal craft beers such as cider, porter, stout, pale, IPA, blonde, and wheat. Monday to Thursday 3:00pm to 6:00pm there are reduced prices on house wine, well drinks, and select bottled beers. Patrons can get 20% off with a Louisiana state ID. 21st Amendment at La Louisiane hosts a number of events daily for its patrons to enjoy. From swing dancers to quartets and live jazz bands, there is always something happening at 21st Amendment at La Louisiane. Patrons can stay abreast of the latest dance, music, and other events by visiting the 21st Amendment at La Louisiane website. At the website, there is a detailed calendar that provides all the current and upcoming events by month. 21st Amendment at La Louisiane offers a VIP list that allows patrons to receive first-hand information about events, discounts and perks, and other news and information about 21st Amendment at La Louisiane in advance. Individuals can easily sign up for the VIP list by providing their email address on the 21st Amendment at La Louisiane website.